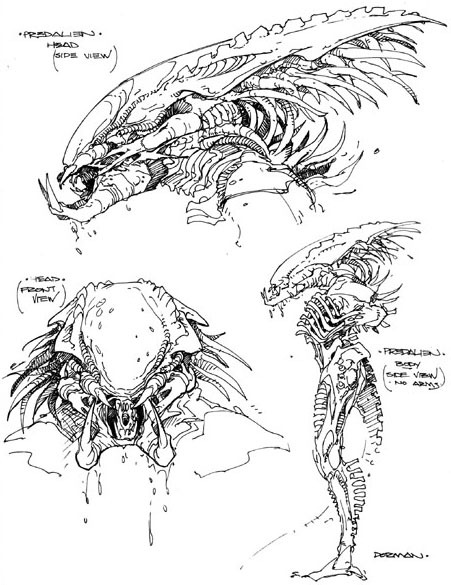 Whereas the Chestburster from the previous production could be reused, the adult Predalien had to be designed in its entirety. 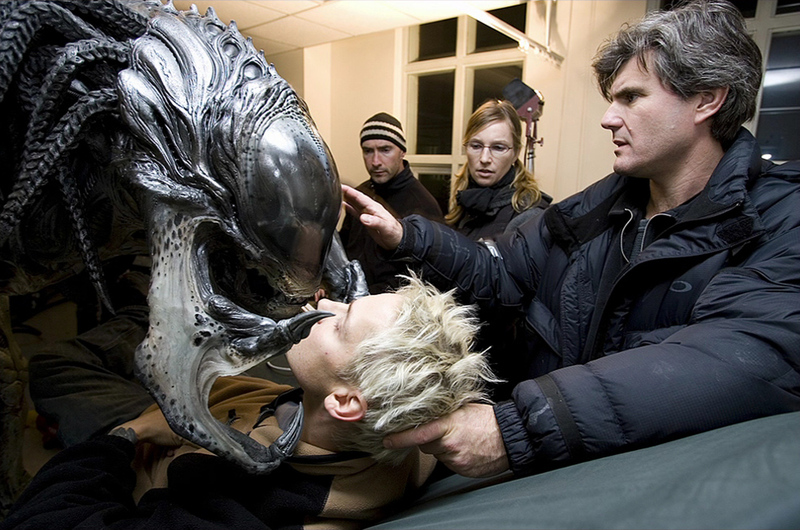 ADI’s involvement in the design process of the creature began even before the actual pre-production. 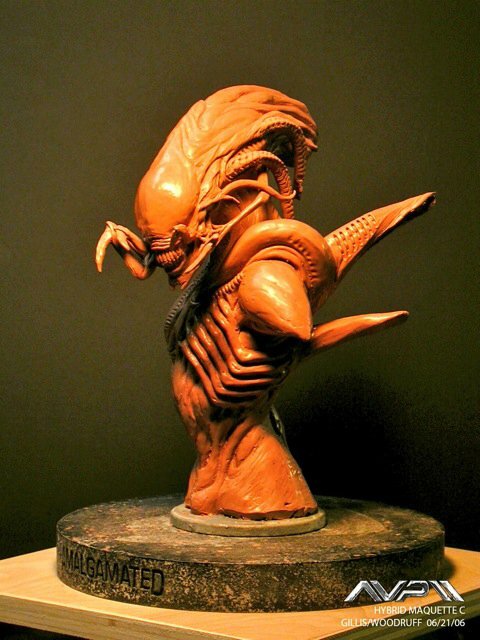 Early designs were produced, and included both a Queen-like version — conceived by Gillis — with dreadlocks taken from moulds of the tails of the miniature Alien from Alien³, and a more Predator-like version — conceived by Woodruff and Jordu Schell. Woodruff and Schell’s early Predalien. Predalien concept by Farzad Varahramyan. 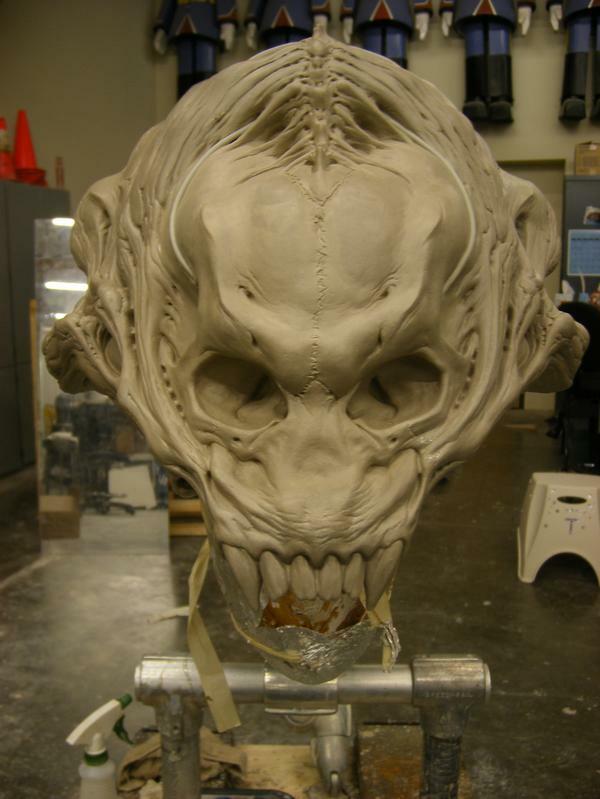 This iteration introduced the ‘half-dome’ that would be maintained in the final creature. In particular, mandibles and dreadlocks were always a key element to distinguish Chet — as it had been nicknamed by the directors, after the eponymous character from Weird Science, to avoid leaks — from the other Aliens. 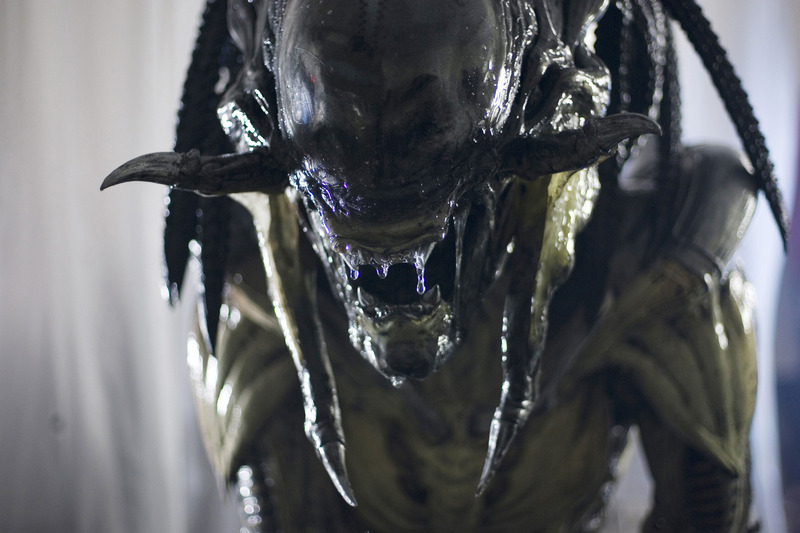 Colin Strause told AvPGalaxy: “we understood that the reason to have the dreadlocks was to make the audience able to understand who was who. 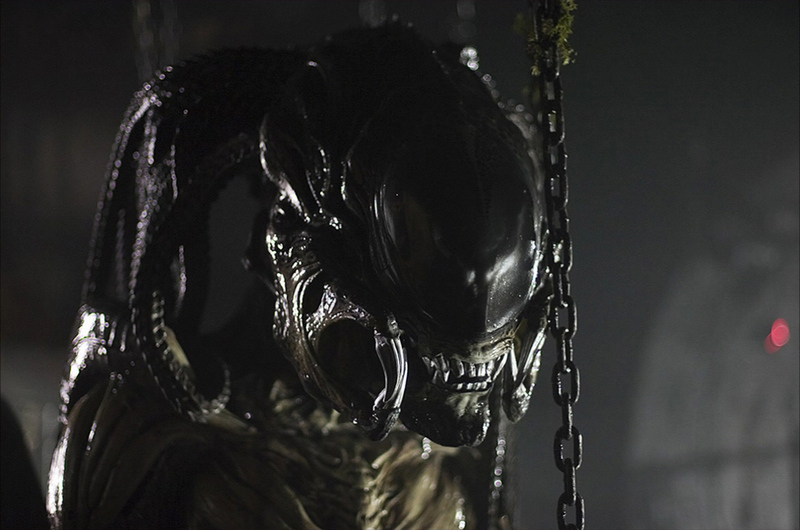 If we removed them, [I feared] that no one would know who Chet was.” In general, the directors were concerned that the general audience would not be able to distinguish the Predalien from the other Aliens, also considering the dark setting of the film. 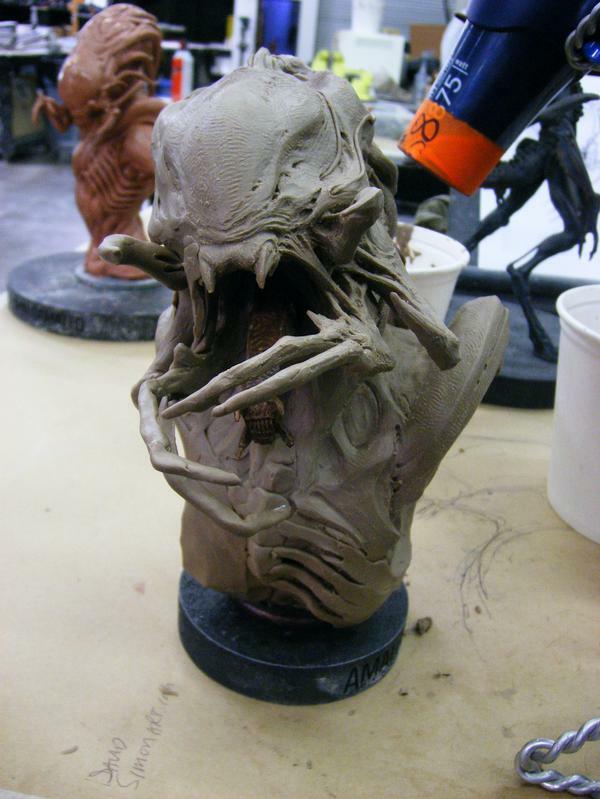 One of Steve Wang’s maquettes proposed Predator-like teeth, as well as multiple mandibles based on Facehugger fingers. 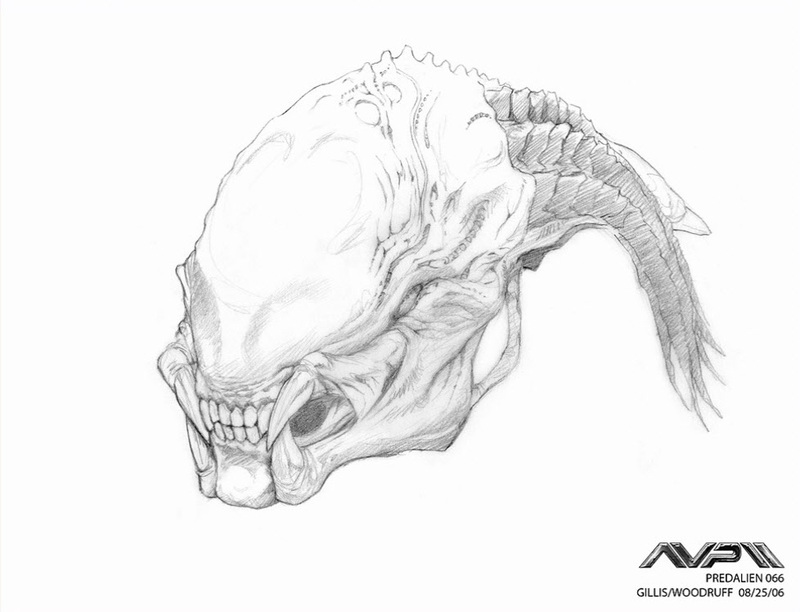 The final concept of the Predalien’s head. 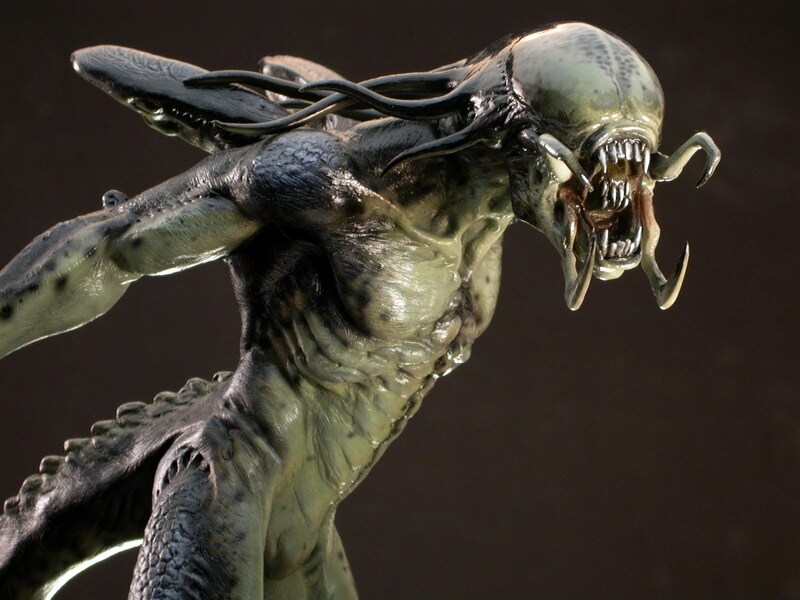 The Predalien went through several conceptual iterations, with artists Steve Wang, Michael Broom, Farzad Varahramyan, Chris Ayers, and Justin Murray, as well as others, collaborating in the process. After receiving feedback from the directors and the studio executives, ADI proceeded to create a maquette that would synthesize the most favoured elements in the precedent incarnations. 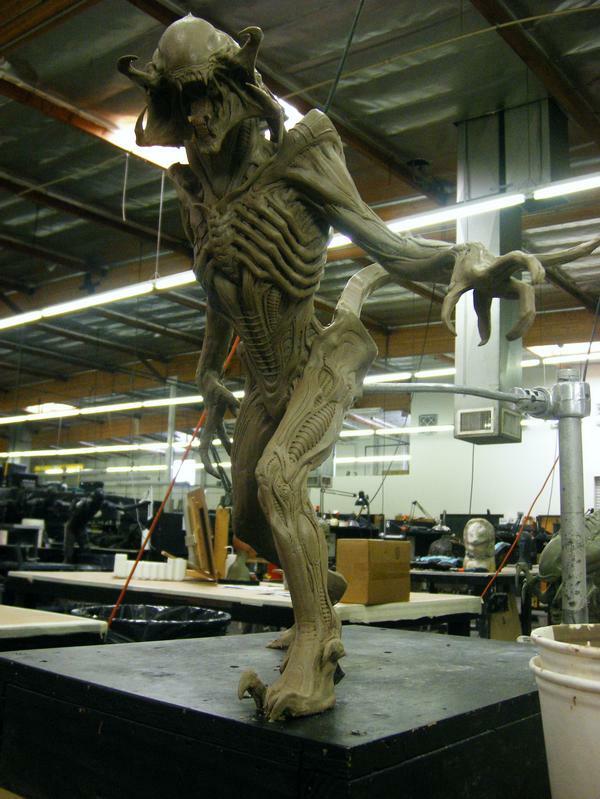 The result was a single small scale sculpture of the full body of the Predalien, created by Steve Wang. 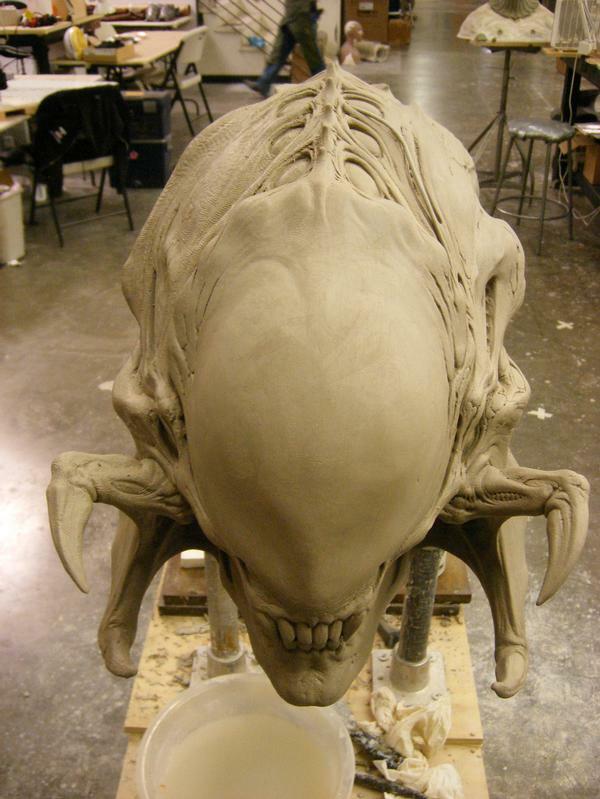 Upon approval, the same artist, with a team of other sculptors, began to sculpt the full-size Predalien that would serve as the moulding base for the creature suit. 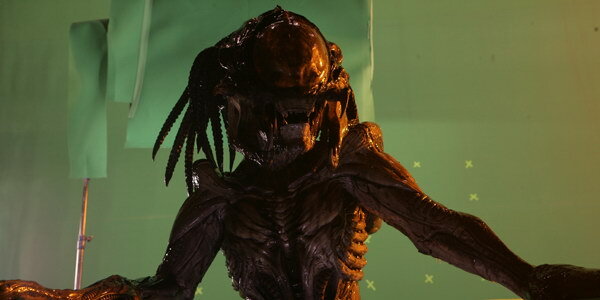 Steve Wang’s full body maquette essentially established most of the Predalien’s appearance. Certain modifications were applied following studio concerns based on the opinion of a child of 14 years of age. During this sculpting stage, however, particularly unusual feedback was received. “That 80/20 proportion changed a bit when a 14-year old happened to be walking through the halls of Fox, saw the maquette and said ‘wow! 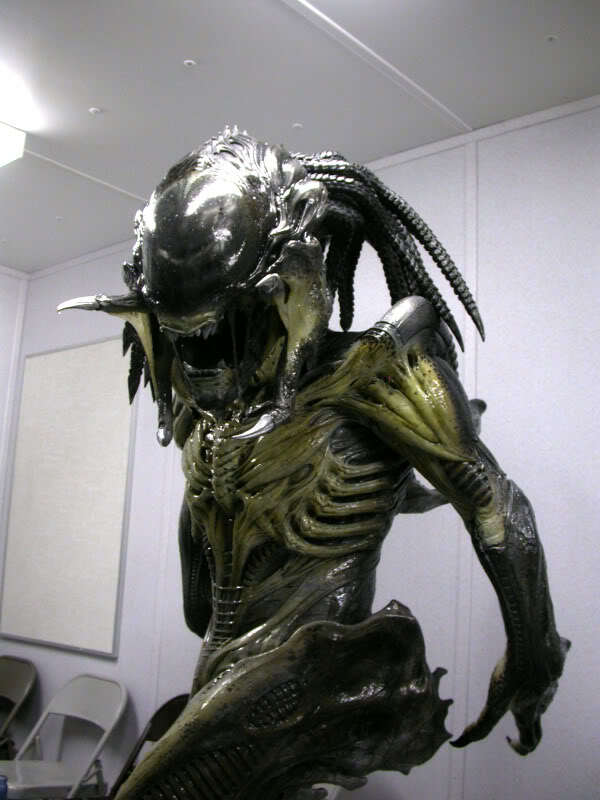 Cool Alien!’ This observation led to much discussion about how to make it look more like a Predator, and some last minute adding of dreadlocks to increase the Predator feel.” Following instruction from the studio executives, the Predalien’s appearance was altered further — increasing the number of dreadlocks and adding more muscular components to its exoskeleton, such as the chest area. 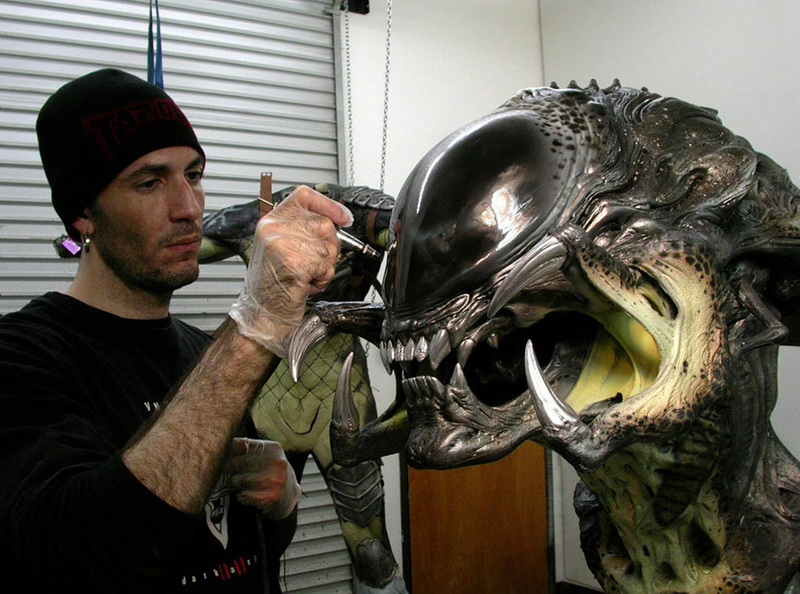 The Predalien was ultimately sculpted by Steve Wang, Hiroshi Katagiri, Casey Love, and Corey Schubert, and painted by Mike Larrabee. 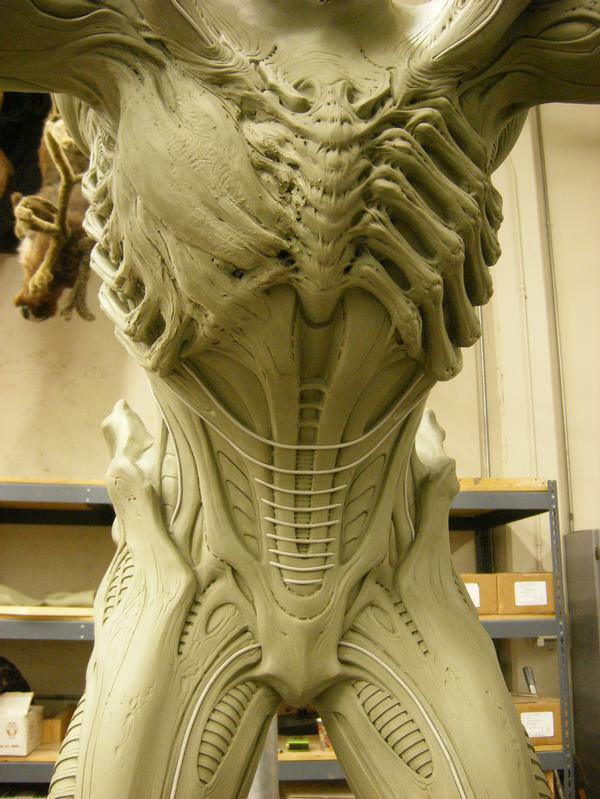 The Predalien sculpture underway, with one side still devoid of the newly added muscular components. The Predalien was built as a series of complete creature suits; Tom Woodruff wore the suit for every scene that featured the creature. A total of six suits was made: four stunt suits and two hero suits; the latter featured mechanized finger extensions. The suits could be fitted with self-contained, radio-controlled creature heads (puppeteered by three crewmembers), or stunt heads. The animatronic heads were mechanized by David Penikas and Hiroshi Ikeuchi. Sculptural detail in the neck concealed two holes that allowed Woodruff to see the surrounding environment. Depending on the scene, two different types of tails could be attached to the suit through a harness: a floppy tail, maneuvered with wires, and a self-supporting tail with an internal nylon sheet armature. A lot of footage also had to be cut because the Predalien kept breaking into its own Macarena impression. 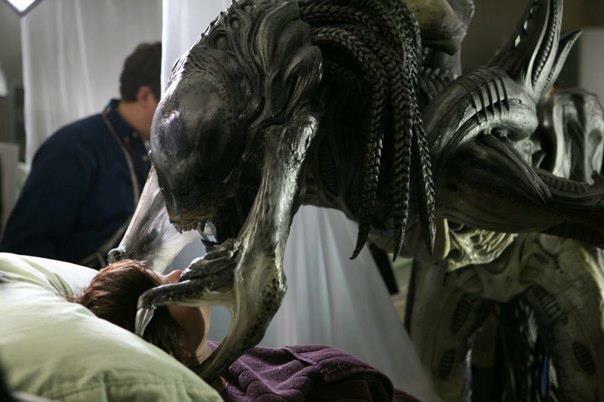 In filming the suits, the filmmakers had to be careful about how to properly portray the Predalien’s size in the film. “He’s supposed to be about the same or slightly larger than a Predator,” Gillis said in a featurette, “so we lengthened the head more, gave him bigger hands, we kind of cheated the upper body proportions. 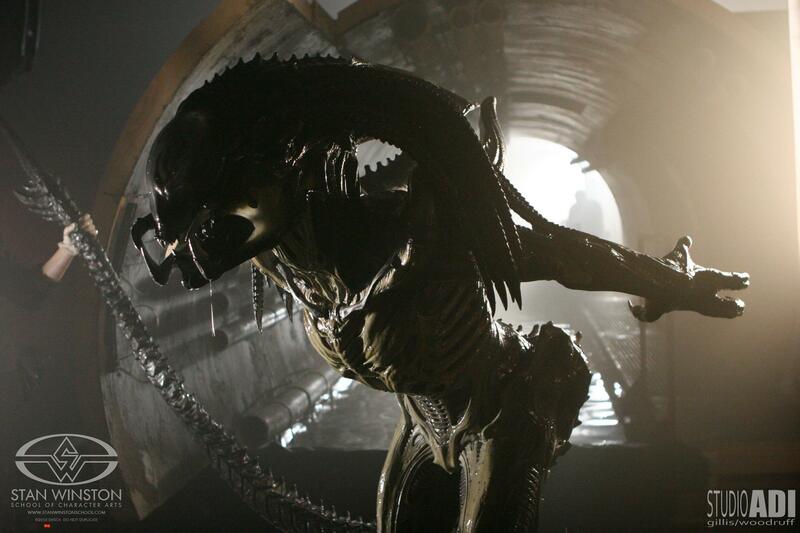 So when you see Tom in the suit as the Predalien, it’s kinda goofy from head to toe, because his legs look very squat. We were always concerned that the still photographer’s gonna take a picture, somebody who doesn’t really know that this thing is mostly meant to be shot from the waist up, releases a shot to the magazine where it looks like it’s a weird dwarf Alien.” For the more complex actions, a digital Predalien was provided by the visual effects artists of Hydraulx. Testing the Predalien’s extendable mandibles. One of the hero heads of the Predalien suits featured mechanisms that allowed the mandibles to extend and latch onto victims’ faces, emulating a Facehugger. “With the mandibles,” Colin Strause said, “basically with the egg laying scenes, we wanted to match the mandibles on [the faces] so she could actually wrap around almost like a Facehugger in a way, and grab people’s faces as she’s doing the impregnation. 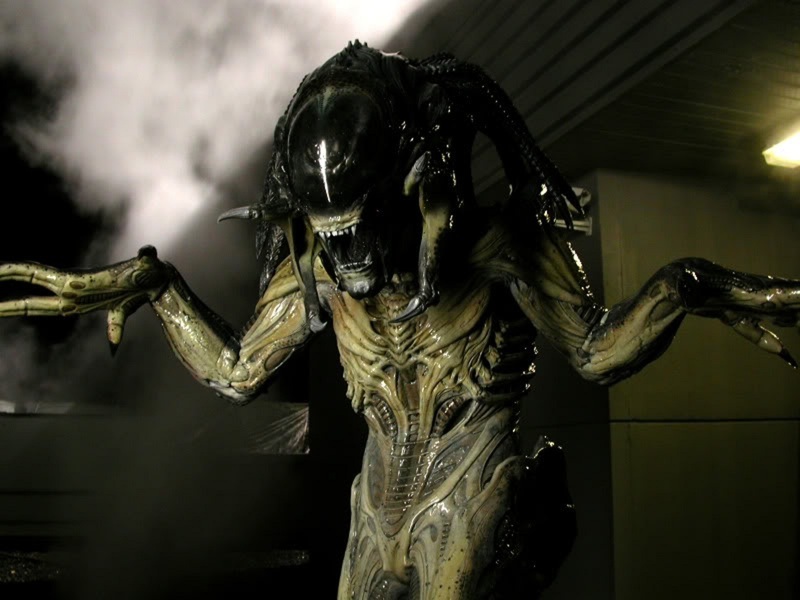 That was kind of an important design thing.” As a new component of the Alien lifecycle, in fact, the Predalien would be able to literally replace the Facehugger and inject multiple embryos in a single host. Other iterations of the new lifecycle were considered but ultimately discarded. 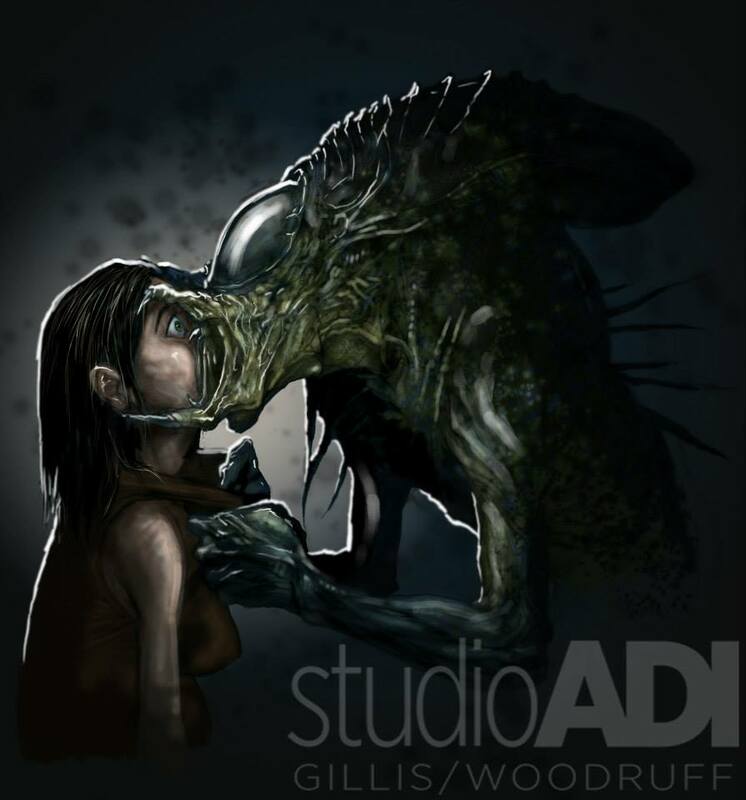 Concept art of the Predalien’s ‘kiss’ by Michael Broom. 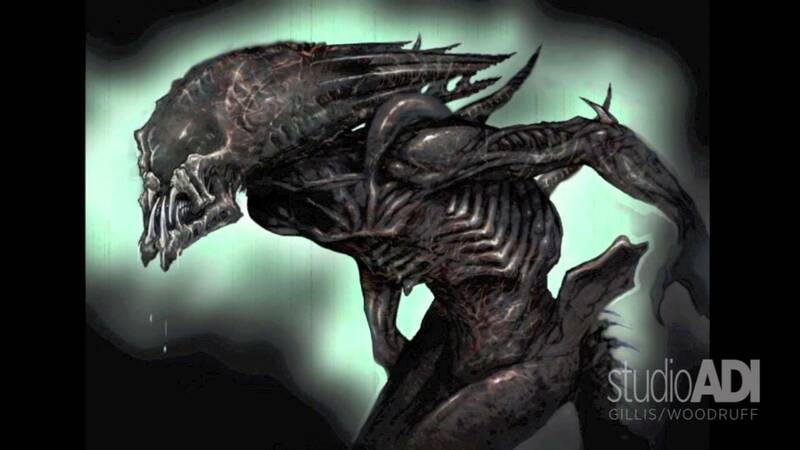 For more images of the Predalien, visit the Monster Gallery. 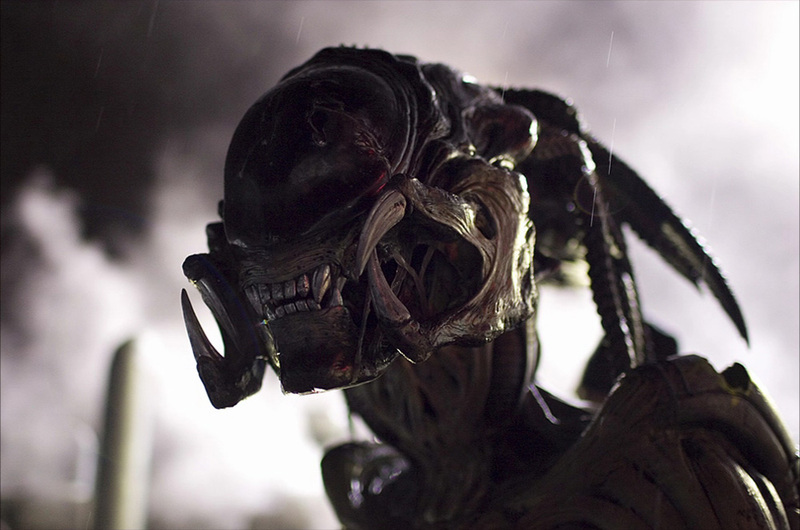 Posted on 25/08/2015, in Movie Monsters and tagged Alien, Aliens Vs. Predator: Requiem, Amalgamated Dynamics. Bookmark the permalink. 4 Comments. Un peccato che l’idea della visione ad ultrasuoni sia stata eliminata,avremmo avuto finalmente la conferma su come un Alien osservi il mondo. Fortunatamente hanno eliminato i Predator scuoiati dal Predalien (in Predators sarebbero stati perfetti) maavrei tolto anche lo “spinamento” del cuoco. I never liked the design for the Predalien. It was way too busy, and not vey scary.